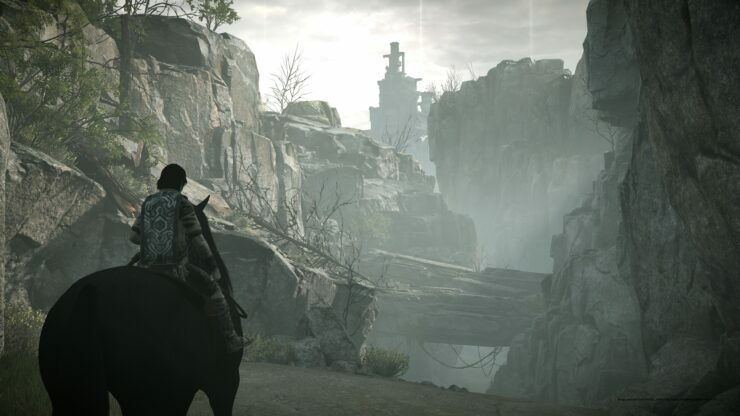 In a lengthy interview posted on Eurogamer’s Digital Foundry, Bluepoint’s President and Co-Owner Marco Thrush dived into a technical explanation of the techniques utilized in the Shadow of the Colossus remake, particularly on the PS4 Pro. To begin with, he explained that they’re using a native 1440p framebuffer and using temporal injection to add it to a 4K buffer. This is the same technique used by Insomniac Games in their Ratchet and Clank remake and, presumably, in their upcoming Spider-Man game as well. We’re doing exactly what Ratchet and Clank is doing which is actually rendering a native 1440p frame and injecting it temporarily into a 4K buffer, so the actual final output that we’re sending to the hardware with the UI and stuff is 4K and really just calling it 1440p is kind of lying a little bit, because over time the temporal jittering of the rendering will give you a higher-quality result than a single 1440p frame. in addition to the temporal jittering at the injection into the 4K buffer, we also have standard temporal AA. So that’s what we’re using, but yeah, we’re not doing anything like checkerboard rendering, we’re just doing the native approach, which simplifies things a lot actually. Thrush also commented on the great ambient shadow in the game, saying that Bluepoint learned that trick from Naughty Dog’s The Last of Us. Yes, so that’s a great trick we learned from the Last of Us guys, where they had ambient capsules that were approximating the shapes of the objects and they’re just doing a screen-space raycasting against that to essentially get to soft ambient shadows, and then we do a multipass version of that, so we get just the direct normal occlusion and also a directional occlusion from the lighting model. So that’s where you kind of get like these directional shadows as well when we have strong light coming from a certain direction. Bluepoint is now widely considered the best studio when it comes to remake/remaster jobs and collections. For PlayStation 4 they’ve handled Uncharted: The Nathan Drake Collection, Gravity Rush Remastered and now Shadow of the Colossus which is arguably their masterpiece so far, according to Jorge’s review. Shadow of the Colossus is arguably one of the most incredible modern video games ever made; it’s one of the very few games where every part of the game’s design work perfectly in tandem with one another. Both the gameplay and environmental storytelling still hold up after over 12 years from the original release on PlayStation 2 and the updated graphics are absolutely incredible on PS4 Pro. Shadow of the Colossus is still a majestic and compelling adventure through a gorgeous world that constantly leaves you in a state of awe.